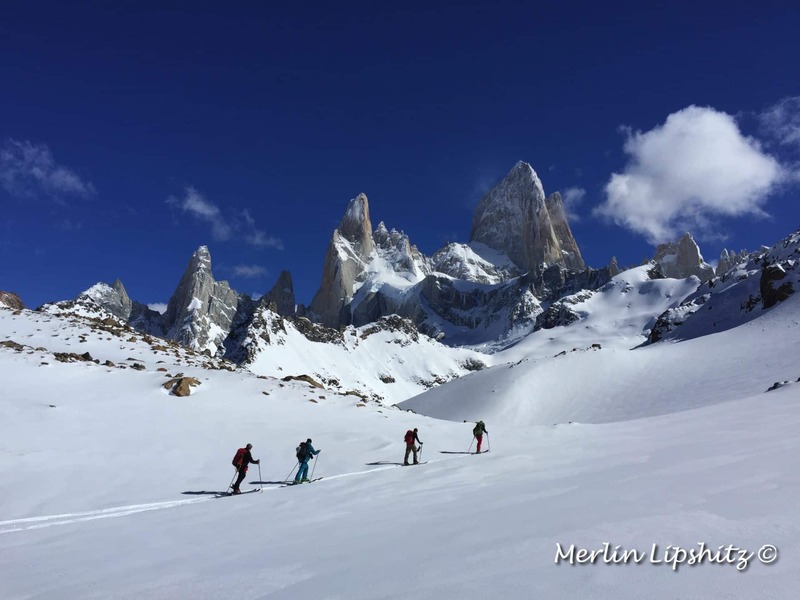 Join Merlín, an UIAGM/IFMGA-certified guide on this backcountry ski adventure through Argentine Patagonia! We will ski to see some incredible views! 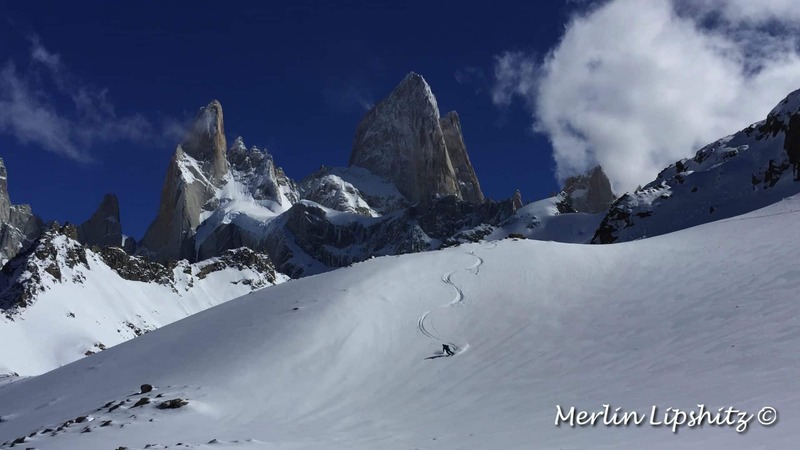 Are you an experienced backcountry skier looking to make your way through Argentine Patagonia? If yes, then come join me on this 13-day backcountry ski tour! We will begin our trip in San Carlos de Bariloche, a town said to be a “Little Switzerland” located in the pristine region of Argentine Patagonia. Upon arrival, I will pick each of you up at the Bariloche Airport and transport you to our accommodation in order to debrief about the program before settling in for the night. The next day, we will disembark to the Catedral Ski Resort to enjoy our first day of off-piste skiing. 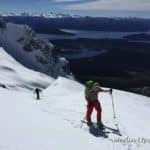 We will return to Catedral Ski Resort in order to hike past the Nahuel Huapi Lake and up to the Van Tritter Valley, where we will ski for the day. After this, we’ll be accommodated in Refugio Frey. 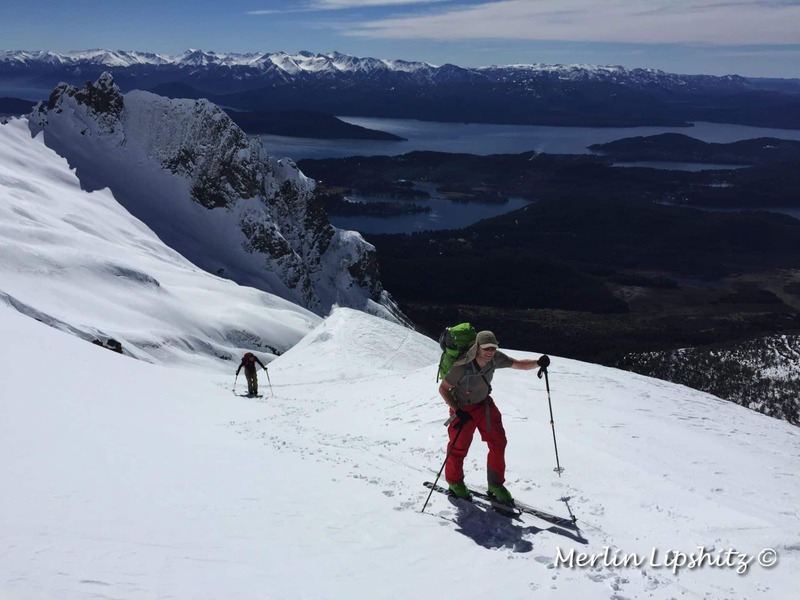 After a few more days of exploring the slopes around Refugio Frey we will return to Bariloche on Day 7 in order to head further south to El Chaltén. Once we arrive in the quaint mountain town of El Chaltén, made famous by the towering Mount Fitz Roy, we will relax for the evening. The following day we will be spent skiing in Loma del Diablo (1800m), which has a vertical drop of 1200m. From there, we will also check out Lago del Desierto in order to ski at Cerro Vespignani (2146m), which has a vertical drop of 1500 meters. 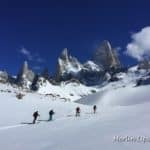 The following day, we will head out to the Fitz Roy Basecamp where we will camp for the night and then explore the rugged, powdered mountainside of Cerro Madsen (1806m). After another day of skiing, the trip will then conclude in El Chaltén 2 days later. This trip is designed for experienced backcountry skiers, who are in great physical shape, so please keep this in mind when signing up. There are some important personal items that you will need to bring with you, such as: sleeping bag and pad, crampons and ice axe, and a ski touring set, among other items, which will be made clear to you once you sign up. The minimum number of participants on this trip is limited to 2 people, so if there is a person or group of people you have always wanted to do a trip like this with, please consider it now! 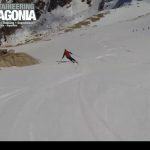 So, if you are an off-piste skier who has always wanted to venture through the backcountry of Argentine Patagonia, this trip is for you! 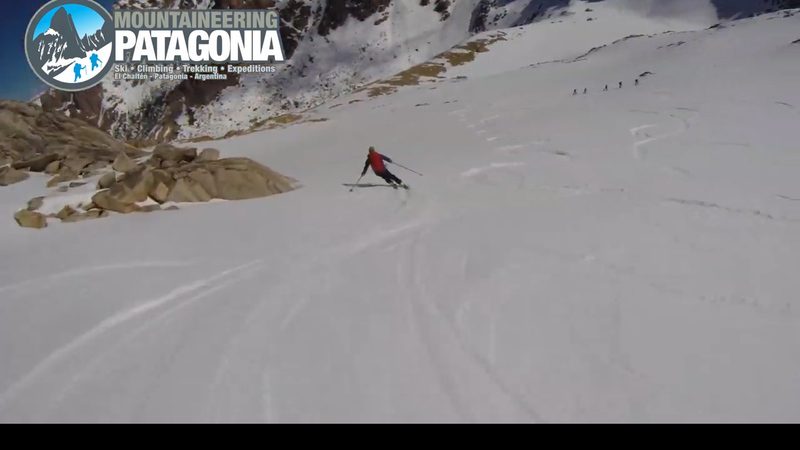 And if you love skiing in Argentina, then check my other trip, doing a 5-day ski tour in Gorra Blanca! Meet at the Bariloche Airport and we provide transport to our hotel. Once there, there will be a debrief with the guide and equipment check. Head to Catedral Ski Resort. Ski off-piste around Catedral mountain. Lodging at Bariloche. Return to Catedral Ski Resort. 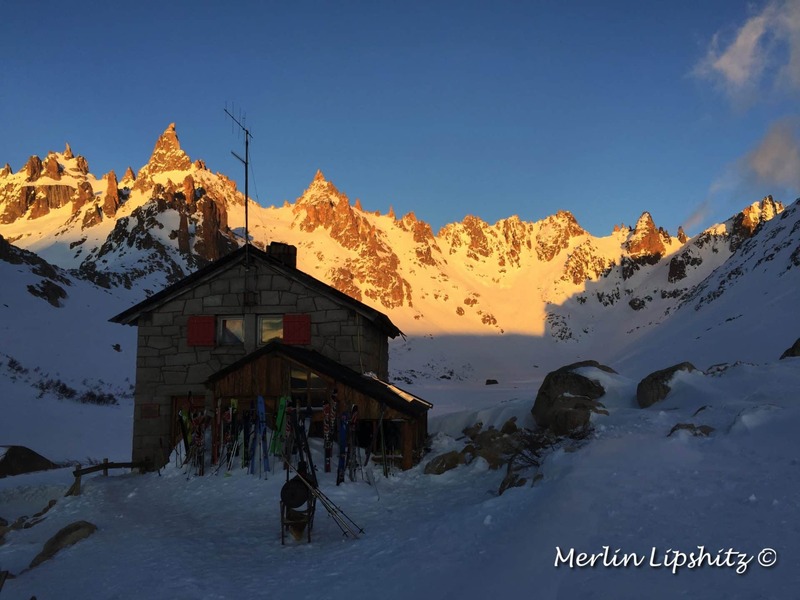 We´ll take the lifts to reach the ridge of the mountain, and start our hike to our accommodation at Frey Hut. There will be excellent views of Nahuel Huapi Lake and the surrounding mountains! 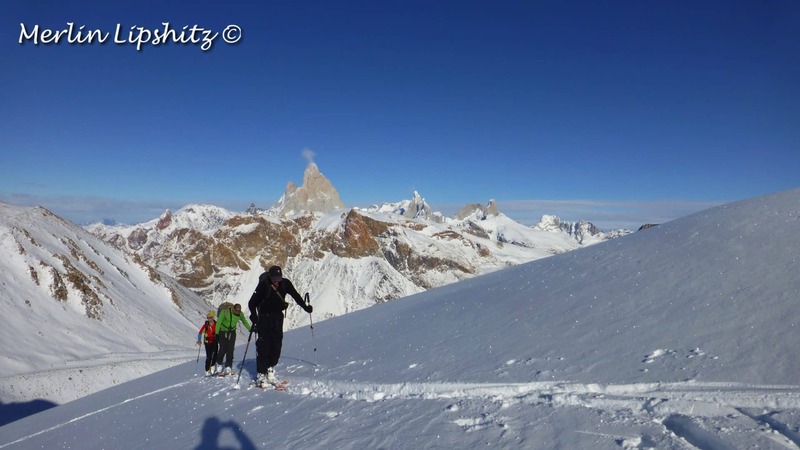 We´ll ski down the Van Titter Valley, and then go back up to Refugio Frey before retiring there for the night. and our options of sites to ski around there will be based on weather conditions. We will return to Refugio Frey for the night. There is the possibility of being able to ski in the morning, before we head back to the Catedral Ski area in the afternoon. Transport will then be provided back to Bariloche. Lodging in Bariloche. We will go ski at Cerro López, which has very scenic views of Nahuel Huapi Lake. Travel Day: Transportation to Airport to fly to El Calafate. From there, transportation is provided to El Chaltén. Lodging in El Chaltén. Transportation will be provided to Lago del Desierto. Then we will ski Cerro Vespignani (2146m). The Itinerary can be modified and should be considered only as a guide. 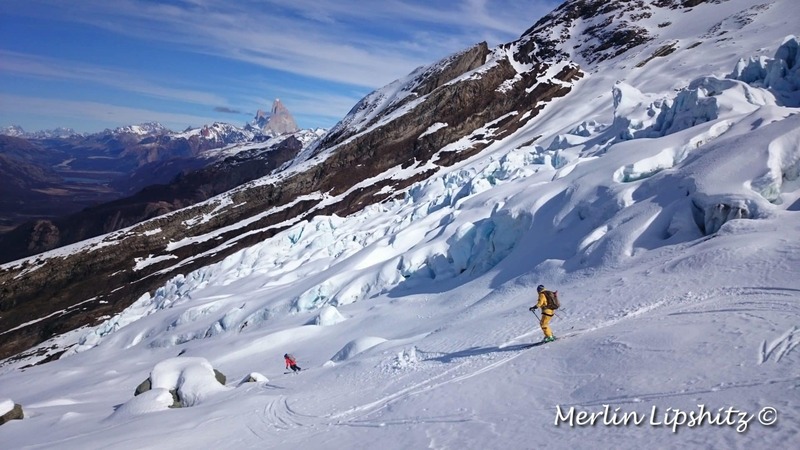 Certified UIAGM-IFMGA Mountain Guide from Argentina. I live in El Chaltén since 1998. 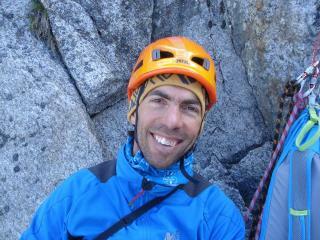 I'm originally from Bariloche and I started with mountain activities when I was 15 years old. I've done climbing and ascents in many mountains of Patagonia, Perú, Bolivia, United States and Europe; such as Fitz Roy, Cerro Torre, Alpamayo, El Capitán, Mont Blanc and Aconcagua among others. I'm also a Ski Instructor and I am passionate for backcountry ski. I speak fluent English, Italian and French and have been leading trips and expeditions for more than 10 years. I work together with a group of guides, so if I'm not available for the trip you request, one of my colleagues will guide you! fun to spend the day with. We have some climbing experience, and Merlin selected sport climbing that was a fun challenge for our skill level. We 100% recommend him as a guide. él le dio la confianza para lograr algo único y emocionante. Estuvimos en el momento de la caminata completa y terminamos queriendo volver para algo más desafiante la próxima vez. Verdaderamente una experiencia de primer nivel. Volveremos para esquiar en breve. Great experience, merlin is a climbing guru! Recientemente fui guiado en el circuito de Cerro Huemul por Luis, quien era un guía muy experimentado, experto y profesional. 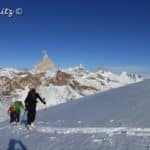 Ayudó con los 2 cruces de tirolesa, la parte de la caminata que requería caminar sobre el glaciar, y significó que nunca tuve dudas sobre dónde llevaba el sendero. Merlin organizó a la perfección toda la comida, el equipo y la transferencia de retorno desde el final del camino. Debido a que toda la experiencia transcurrió tan bien, y Luis hizo que mi caminata fuera tan cómoda y agradable, definitivamente recomendaría esta compañía. El sendero en sí era hermoso, con muchas vistas impresionantes y estoy muy contento de haberlo experimentado. Entre los puntos destacados se encuentran los Campos de Hielo de la Patagonia Sur después de escalar sobre Windy Pass, así como los cóndores al otro lado del paso Huemul y las vistas desde el último campamento. 5.8 to 5.9. The rock was great, route choices great! What could be better than rock climbing with Fitz Roy looming in the background! Merlin’s professionalism added to the experience. Oh & he will take you to eat lunch at the best empanadas in town 🙂 I will return to Chaltén & Merlin has earned my trust to go into the big mountains and do a multi day ascent! 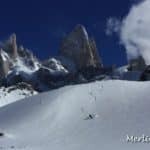 giornata di pieno sole ed arrivati in vetta il Fitz Roy che si è mostrato del tutto nella sua bellezza! ottima esperienza, professionalità e simpatia con Merlin, giornata conclusa davanti a una buona pizza e una birra fresca in paese! consigliatissimo! helpful and extremely responsive. 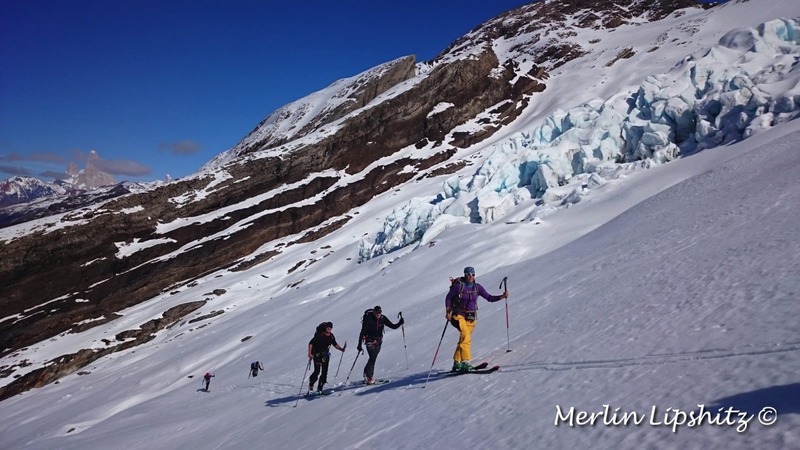 Merlin was the perfect guide: knowledgeable, competent, patient, motivating and upbeat. We had snow on the ascent of Madsen but the clouds cleared for really excellent views of Piedras Blancas glacier, the valley below, and Fitz Roy. Thanks for the highlight of an incredible two weeks in Patagonia! top (Fitzroy seemed to be within touching distance!) Thanks for such an excellent trip Merlin, will remember it for ages! 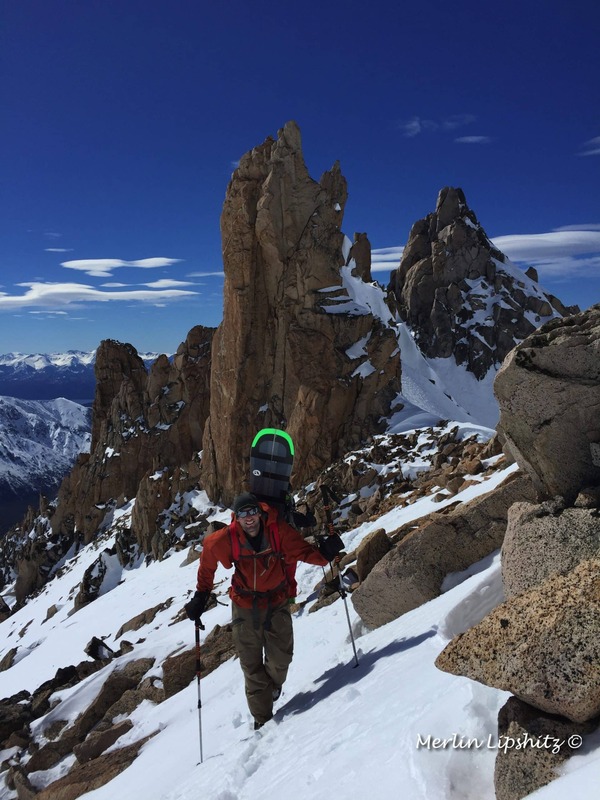 used Mountaineering Patagonia to climb Cerro Madsen. The weather was terrible, but the experience could not have been better. This winter though, I took my parents down and we signed up for Paso Del Cuadrado. We were joking today that it was the best hike we have ever been on. The guides (Martin and Max) met us the night before to check gear and go over the route. They were very good at explaining every detail. They met us the next morning with hot coffee and even better attitudes. As my mother put it, they set the perfect pace as we climbed 4000 vertical feet over 7 miles. I repeat the trip could not have been better. We made it to the pass with ease, never feeling out of control or unsafe. Bottom line: I am going to keep coming back to El Chalten and every time I will visit Merlin and his staff and go on one of their hikes. You would be foolish to not go with them. week in El Chalten. We completed a fantastic trek and climbed Cerro Madsen. The changeable weather in Patagonia means that you need to be flexible and Merlin’s suggestions and his willingness to tailor his services to suit the conditions really enhanced our experience. The friendly, experienced and knowledgeable guides ensured we always felt safe and secure even when operating outside our comfort zone! however Merlin was extremely accommodating. Merlin’s climbing knowledge and attention to detail made us feel safe, even though it was our first time climbing. We climbed at two different sites in El Chalten. Thank you Merlin for the amazing experience! se aseguró de que tenía la ventana óptima para la excursión de tiempo de 3 días. Se ocupó de todos los detalles del viaje y estaba muy bien informado sobre la región y la ruta. Me impresionó especialmente la comida para la excursión que organizó y siempre estábamos bien alimentados. 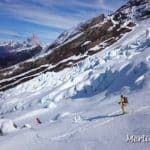 Yo recomendaría un viaje de escalada alpina con el montañismo Patagonia, sé que regresaré. excelente guía (ES certificado) con mucha paciencia, liderazgo, y atención a la seguridad. Por no mencionar, que es muy buena! Incluso nos servía café caliente en la cama (bueno, bivy sacos) cuando nos despertamos a las 4:00 am comienzo alpino. Merlin hizo un gran trabajo de elegir el derecho subir para nuestra capacidad. Era difícil y gratificante. Él claramente delineado expectativas antes empezamos, así que no sabíamos qué esperar. La subida en sí estaba fuera de este mundo – algunos de los paisajes más increíbles que he visto. Recomiendo encarecidamente una subida de Mojón Rojo durante su visita a El Chaltén! open climbing guide. We discussed options with him given the upcoming weather and our abilities and ended up doing a day of sport climbing and a day of mountaineering on Cerro Madsen. Through both adventures he was knowledgeable, friendly, and safe. He encouraged us through the entire climb and even brought some treats for the top. 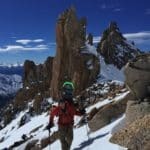 I would highly recommend Mountaineering Patagonia if you are in search of a guide. open climbing guide. 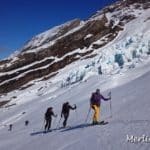 We discussed options with him given the upcoming weather and our abilities and ended up doing a day of sport climbing and a day of mountaineering on Cerro Madsen. Through both adventures he was knowledgeable, friendly, and safe. He encouraged us through the entire climb and even brought some treats for the top. I would highly recommend Merlin if you are in search of a guide. 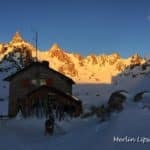 Ski Touring - 2 days - Interm.